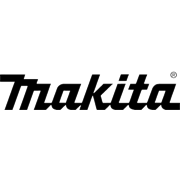 Powered by Makita’s 18 Volt Li-ion platform, the 18 Volt Cordless Blower enables users to comfortably clean paths and gardens. The ergonomically designed nozzle and variable speed control allow for a wide variety of applications. It conveniently features three air volume settings: high, medium and low. Kit includes 1 x 5Ah battery and rapid charger.